As some of you may have already figured out, my taste in music can be a little all over the place at times. I cannot deny that. If someone asked me to describe it, I don't think I could find the words to do so. However, I have a whole lot of love for Texas Country, which is why I always try to dedicate a day of my week just for that. One of the artists in this genre that holds a special place in my heart is Mr. Curtis Grimes. He always seems "to be there for me" whether it has been responding to a tweet of mine or listening to his music at the perfect time. This week I was listening to one of my favorite online radio stations, Todays Tx Country, and they announced that they would be giving away a copy of the EP Bottom of the Fifth. Even though I had ordered a digital copy of it, there is something about being able to hold a CD, so I entered and I WON! Bill from Todays Tx Country, mailed me over my CD and I received it today. I love the quick process because this just happened 3 days ago! Excited that I received the CD before it came out, so I grabbed my Dr.Pepper & got to listening. Wanna know what I thought about this EP? Well here we go. Smile That Smile-The album starts off with this song written by Rhett Akins, Ben Hayslip, and Wyatt Duratte all who have written hit songs. With lyrics such as "When you smile that smile, it's like the sun coming up on a blue sky", Smile that Smile becomes the perfect summer love song. Not that I will personally know about what those are, but the way he sings the song with his traditional sound, it paints a fun, sweet, loving picture. I love that this was chosen as his single, it is the perfect combination between modern and traditional country. Bottom of the Fifth-Then we go from a summer loving song to a song about Baseball and Jack D, a song written by Curtis Grimes & Craig Monday. 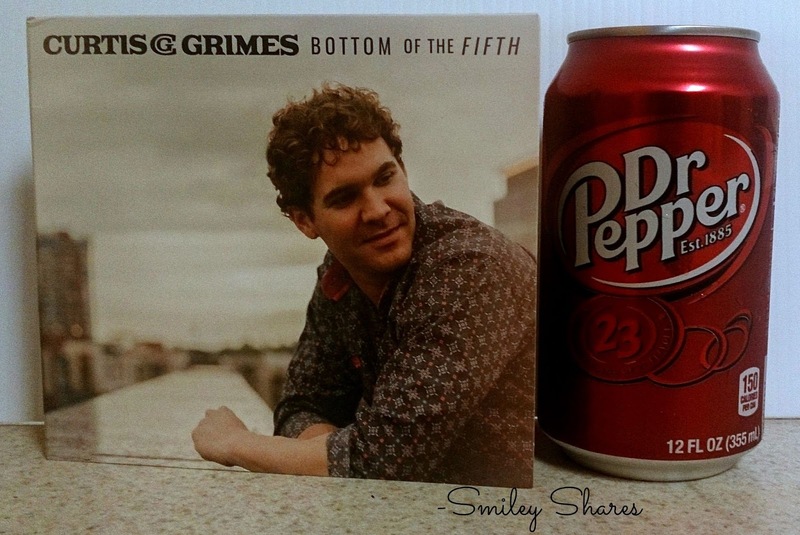 For those that don't know, Curtis Grimes used to play Baseball, which makes sense that this song combines his love for baseball and I am assuming his love for whiskey as well. Yet still telling a story, with lyrics such as "When you put it out there and lay it all out on the line, just to lose it in the bottom of the fifth". It reminds me a bit of an older song of his, "Irresponsible". It is a great fun upbeat song you can't help but dance to. Longer- The 3rd song was written by Jason Matthews. Although it was not written by Curtis himself, this has to be one of my favorites. His voice is ideal for the narration of this story. A story about a night you do not want to end. "I walk you to the door and we say our 6 or 7 goodbyes". It is romantic and passionate without the intimate details, which works with the whole mixture of the song. 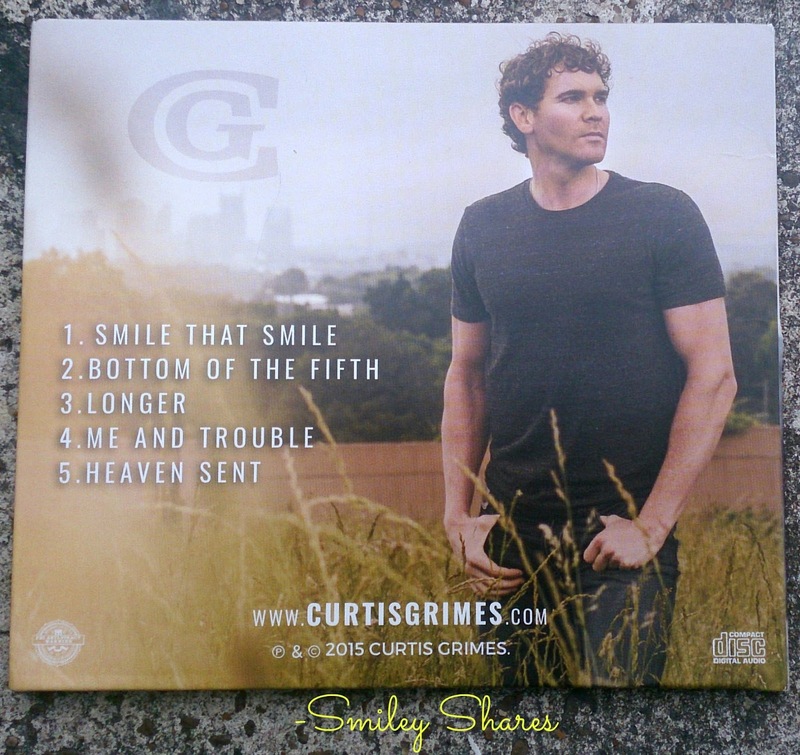 Me and Trouble- At number 4, we have song written between Curtis Grimes, Jason Matthews, and Johnny Bulford. It is about a relationship that although it may not be the best, you just can't really get away from it. "Trouble always had a way of finding me with free beer and crocodile tears, how was I supposed to say no". This song is not an angry song it is more of a "darn, why do i always let myself get sucked back into this" all while swaying to the beat of the music, kind of song. You get what I mean? Heaven Sent- The last song is absolutely my favorite. It was written by the man himself, Curtis Grimes. As I was writing this, I noticed that he posted a video to his Facebook where he states that this song is his most personal song yet. After listening to this song you can honestly tell. The lyrics are honest and pure.The stripped down sound makes you pay attention to the story. He describes his love and admiration for someone who you can tell he cares about. He sings "swear she is heaven sent makes me a better man here on Earth". I'll be honest, I got goosebumps listening to this. There we go. 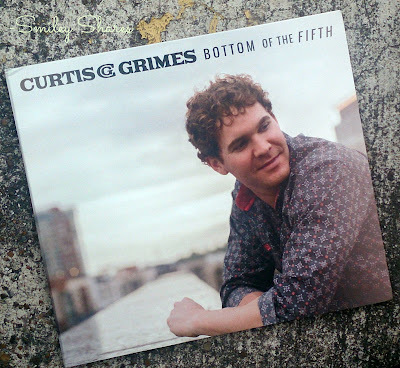 My full review for Bottom of the Fifth Ep by Curtis Grimes. If you preordered the EP you woke up to the songs. Let me know which ones were your favorites, and why? If you did not then I suggest you go and do so now [iTunes][Amazon] then come back and let me know what you think. Also make sure to check out his Facebook, Twitter and his website for tour dates. Labels: Bottom of the 5th , country music , Curtis grimes , Music Review , texas country music , Texas Music Thursday , What am I listening to? Yes! It also happened to be the last one we had. Yes I highly recommend it, if anything the last song is my favorite. He needs to sign more of the songs he writes.